Merger mania in the legal space is not a new phenomenon. 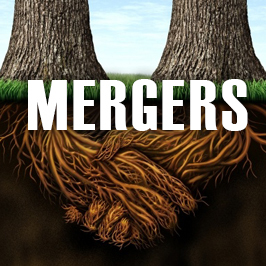 Many law firm leaders see a merger as a viable way to boost revenue, pick up new clients, and expand a regional or international footprint. Law firm mergers are undoubtedly complex, high-profile and often international in scope. In addition to all the complex financial and business elements, as well as the cultural mix of the firms, law firm leaders – and marketers in particular – must carefully plan how to notify various audiences of the intended tie-up. From support staff to the management committee to vendors, consultants and clients, each of these groups needs special attention. Of course, firms will want to share their good news with the world. The best way to reach this massive audience with a big splash is via the legal, business, local, regional and – for some – international press. Organization is the key to getting your merger message out and picked up by media. As you discuss the merger internally, keep in mind that you will need to develop several media-related documents, including a press release that clearly sets forth the messages you want to convey about the merger. Begin preparing for the difficult questions that journalists may ask and develop answers to those questions. It is also important to decide who at the newly combined firm will serve as spokespeople. These individuals should receive a firm-approved, written Q&A document to refer to during media interviews. If any of these spokespeople require media training, sessions should be arranged before the public announcement. In addition, the schedules of each spokesperson should be cleared so they are available for all media calls. A representative of the new law firm, or the publicist handling the media queries, must know how to reach each spokesperson at any time. Advance planning is critical. The press release should clearly outline strategic messages, identify the key spokespeople for the firm and give enough information for a reporter to understand the business reasons behind the merger. Carefully consider the news hook and bring it to the forefront. Provide enough detail so a reporter who is short on time can draft a news brief based on the release. It should include short sound bites from leaders on both sides of the merger, indicating why the combination is such a strategic fit. The PR team can also consider working out an embargo of the news with a key media outlet. This will give select reporters a head start on crafting their stories for publication as soon as the announcement officially goes public. The PR teams should also prepare a thorough media list that reaches the legal, business, local, regional and international journalists who would be interested in the news. It’s also important to include reporters covering key practice areas of the new firm. In addition, it is helpful to prepare a biography package of the new executive committee of the firm, a fact sheet about the new firm and visuals, all of which should be made available to the press. Consider videotaping the merging firms’ managing partners outlining the strategy for the tie-up. It is also helpful to have photos and any other graphics, including the new law firm logo, at the ready. All of this information can be posted to a secure microsite so journalists may download documents and graphics to round out their stories. Plan ahead not only to create these pieces, but also to set up the working site. As you schedule the timing of the announcement, plan an internal, firmwide announcement to be released slightly in advance of the public announcement. Make sure the announcement is not so far in advance that the information could be leaked, but also not so late so that staff learns of the news from the media. The internal announcement can be made in person, via conference call, with the entire firm or with separate groups, but no matter how it occurs, you must tell the staff that the public will be alerted to the merger after the meeting and that Spokespeople A, B and C are the only people who are going to speak to the press. Each firm’s website should be prepared to post the merger release at the same time it is being issued to the press, and the website for the newly formed firm should be up and running as well. As soon as the public announcement is distributed, the PR team can continue to flag the news for key journalists and arrange interviews for the spokespeople. It is important to develop relationships with reporters at this point, so positive news coverage about the firm continues beyond the merger announcement. Planning a law firm merger or need more information on how to make the event a PR win? Contact Terry M. Isner at tisner@jaffepr.com.